Gold Bugs: Here’s How to Make the Most of the Continuing Bull Market in Gold! So says Lorimer Wilson editor of www.FinancialArticleSummariesToday.com (A site for sore eyes and inquisitive minds) and www.munKNEE.com (Your Key to Making Money!). Please note that this paragraph must be included in any article reposting with a link* to the article source to avoid copyright infringement. 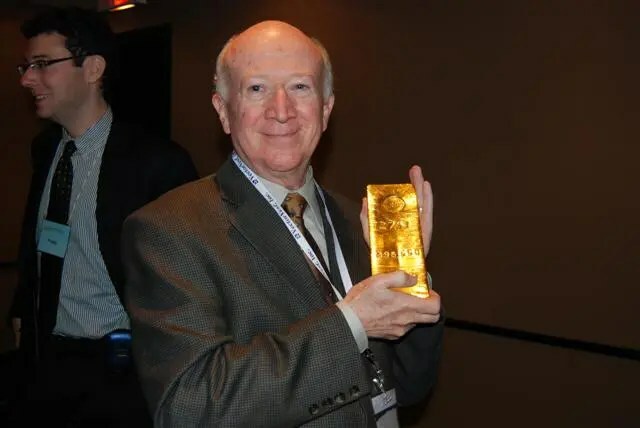 This article is an updated version of my one-of-a-kind proprietary index of gold and silver companies with long-term warrants (GSWI) and gives you insights into the ‘secret world’ of warrants and identifies the constituents of each. Before we go any further here is a definition of warrants: a security that gives the holder the right, but not the obligation, to acquire the underlying (associated) security at a predetermined (i.e. exercise or strike) price and within a specified period of time (i.e. term or duration). 21 are involved in the mining, exploration or royalty aspect of the business. b) 1 deals in gold and silver plus other commodities. For more detailed information on each of the above 19 companies and their LT warrants (21) plus the other 84 commodity-related warrants go here. There are 2 very attractive reasons: to maximize your dollars deployed and returns generated. Warrants on average cost 70 – 75%% less than their associated stock allowing you to either buy more exposure to a specific company or spend less dollars for the same exposure as buying their associated stock. In an upleg LT warrants outperform their associated stock by as little as 50% (averaged 59.6% in the last major upleg) and occasionally by more than 300%. To be candid, however, the reverse is true in a down market. Warrants perform in relationship to that of their associated stock so their purchase should not be done without considerable research. a) Given the fact that no warrant ETFs are available to buy you could buy a basket of warrants consisting of an equal number of warrants from every company mentioned above. For example, if you were to restrict your warrants portfolio to just those of gold and silver companies, and just 100 warrants of each LT offering, it would amount to approximately $8,000 at today’s prices plus commission expenses. Now you some insights into the ‘secret world’ of warrants and those very few companies with LT warrants that make up the constituents of the GSWI. 2. What Are Warrants, Options & LEAPS?